No one knows the real estate market in Shelby County like the seasoned real estate pros at Down South Realty Inc. That’s because the folks behind Down South have a 24 year history of helping people just like you find the new home or investment property you’re looking for, with minimum hassle and maximum satisfaction. Whether you’re looking to purchase a new home, sell your old home or find the rental property that’s right for you and your family’s short-term needs, Down South Realty can help. Thanks to our long acquaintance with the local real estate markets, we can point you in the right direction for your successful property transaction. We’ll not only help you find your ideal property – we’ll assist you at every step throughout the buying process. That includes negotiation on pricing and terms, securing a mortgage to expedite purchase of your new home and providing guidance to make sure the closing goes smoothly. 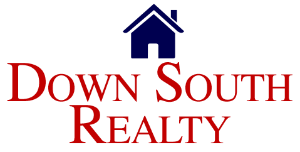 Call Down South Realty today to find out why so many Shelby County, AL residents consider us the go-to real estate agency serving the Wilsonville area. We’re standing by to help at 205-669-1933.